School officials said football player Brandon Adams died on Saturday. He was 21 years old. The Georgia Tech student body is mourning the loss of one of their classmates. Georgia Tech told 11Alive that Atlanta Police said he died from natural causes. However, the autopsy will need to be completed to determine the exact cause of death. On Monday, APD said that will be determined by the GBI Medical Examiner’s Office. "The GBI Medical Examiner’s Office has informed our investigators that further lab tests, including toxicology, will need to be performed prior to determining cause and manner of death for Brandon Adams. Our investigators are working with the GBI and are awaiting those results," Carlos Campos of APD said. Adams, a Brentwood, Tenn. native, was a business administration major and a rising senior football student-athlete. 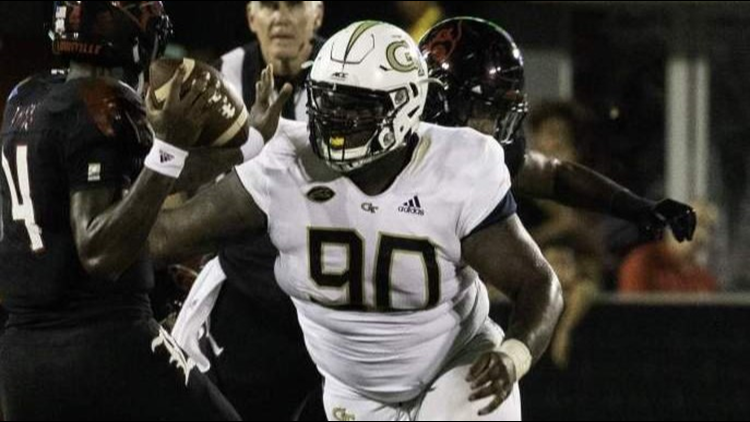 Adams played in 33 games over three seasons as a Yellow Jacket from 2016 to 2018. School officials said he recorded 41 career tackles, 6.5 tackles for loss and two forced fumbles as an interior defensive lineman. “On behalf of the entire Georgia Tech athletics family, I offer my deepest condolences to Brandon’s family and friends, including his past and present coaches, and his brothers in the Georgia Tech football family,” said Todd Stansbury, Georgia Tech director of athletics. “As we mourn the loss of such an incredible young life, we are also here to support Brandon’s family and friends, his past and present coaches and his brothers within the Georgia Tech football family in any way that we can. Please join us in keeping Brandon and everyone who loved him in your thoughts and prayers during this difficult time," Stansbury added. During his high school years, Adams was a three-sport star at Brentwood Academy - playing football, wrestling, and track and field. He served as captain for Brentwood Academy’s football and track and field teams that both won state championships during his senior year. 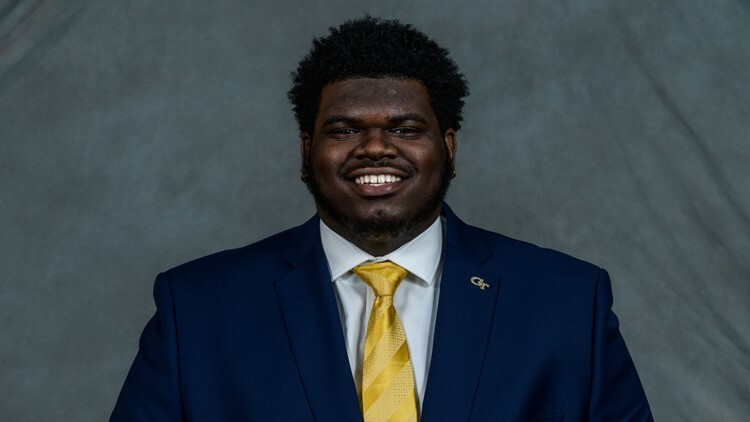 “Our entire Georgia Tech football family is heartbroken by the news of Brandon’s passing,” said Geoff Collins, Georgia Tech football head coach. “In the short time that I have had the privilege and honor of knowing Brandon, I admired and respected him, first and foremost as a terrific human being, but also as an outstanding teammate and leader. Jennifer and I offer our thoughts, prayers and unconditional support to his parents, Lisa and Reginald, his sister, Rian, and all of his family and friends, particularly his brothers in our football program," Collins added. Arrangements for his funeral have not been released yet. She was taken into custody for a suspended license. They found her dead in less than 48 hours.